Atlanta Chinese Dance Company is proud to welcome home one of its own as a professional guest artist - Kerry Lee. Kerry trained with ACDC since the company was founded in 1991 and is now a member of H.T. Chen & Dancers, an Asian American modern dance company based in New York City. She will be featured in ACDC's West to East, East to West on May 24-25, 2009 at the Performing Arts Center at Gwinnett Center. Talk about your childhood memories of dance in Atlanta. My mother started teaching Chinese dance in Atlanta when I was a few months old, so I have been exposed to dance for as long as I can remember. My parents have video footage of me twirling a ribbon around the house as a toddler. I loved imitating the older kids that my mother taught. I started taking Chinese dance classes with my mother at the age of five, and I danced in every major ACDC performance since the company was founded in 1991. I also trained pre-professionally in ballet at Rotaru International Ballet School and later Atlanta Ballet. I got to perform a lot as a child (mostly with ACDC), and I absolutely loved it. I think the thrill of being onstage is what has kept my passion for dance alive. Did you always know that you wanted to pursue a career in dance? No, not at all. In the Chinese community, it seems like every parent wants their child to become an engineer, doctor, or lawyer. Though my mother is a dancer, she never encouraged me to pursue a career in dance. Like many dancers I think she knew how hard it would be, so she didn’t want me to suffer. As a child, my goal was always to get into a top university like MIT or Stanford. As much as I loved to dance, I never thought I would make it as a professional dancer anyway. I never had the “perfect” ballet body, and there were times when I missed out on opportunities because of my physique. I remember watching Atlanta Ballet dancers perform frequently during my high school years and wishing that I could be one of them, but I figured that dancing professionally was just a dream that would never come true. My perspective changed when I got to Stanford. As a freshman, I remember watching an open rehearsal with Robert Moses’ KIN (a modern dance company in San Francisco) and being amazed that the dancers moved so beautifully but didn’t necessarily have “perfect” ballet bodies. It opened my eyes to a part of the professional dance world I had never seen before. Seeing the company behind the scenes in a rehearsal also made me realize that I was fascinated by the daily process. I was also inspired by the success stories of a number of Stanford alumni who made it in the arts. 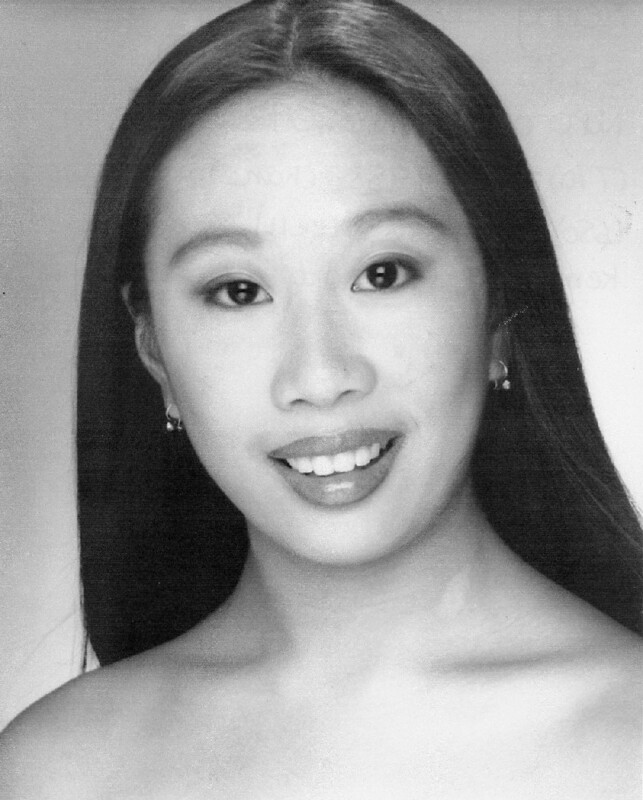 (For example, Vienna Teng was a computer science major who became a professional singer/songwriter after working at Cisco for two years.) It wasn’t until my sophomore year that dancing professionally became a goal instead of a dream. You majored in Management Science and Engineering at Stanford University and worked for a year as a Research Associate with NERA Economic Consulting after graduation. How did you find time to dance? When I was younger, I kind of assumed that I would stop dancing seriously when I got to college. As a senior in high school, I realized that dance was my passion and there was no way I could give it up so easily. I promised myself that I would make every effort to at least maintain my level of dancing. At Stanford, I went out of my way to dance as much as I possibly could while pursuing a completely unrelated major. My friends used to joke that I might as well live in the dance studio. I enrolled in ballet classes on campus every quarter and squeezed in other dance classes whenever they fit around my academic schedule. I worked with professional contemporary ballet and modern dance choreographers from San Francisco on new works commissioned by our dance department. 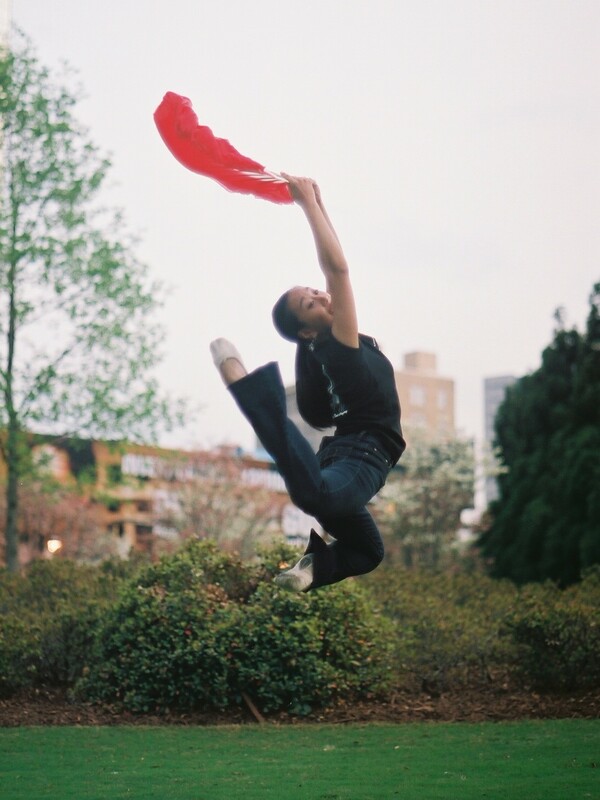 I was involved in the ballet student group and later founded the Chinese dance student group. There were weekends when I rehearsed for eight hours a day. With numerous problem sets, papers, and exams to juggle, I was always stressed out. I think I wanted so much to improve myself as a dancer that I forced myself to make it work. In retrospect, my dance training at Stanford was life-changing. I was very fortunate to have wonderful teachers who believed in me when I didn’t believe in myself. They encouraged me to step out of my comfort zone and approach dance in a totally different manner. Without them, I would not have had the knowledge or courage to audition for professional dance companies. My days at NERA Economic Consulting were difficult. Though I finally moved in New York where there were seemingly limitless opportunities to dance, my schedule left me little time to take advantage of them. Due to the nature of the field, my hours were long and unpredictable. On a good day I would leave work by 6:30pm and chomp down a hot dog from a tourist food stand as I trekked over to a 7:30pm dance class. I would get home at 10:00pm only to go to work again the next morning by 9:00am. On a bad day I would be in the office until midnight. I was always paranoid that I would get out of shape, so I tried to make myself go to class whenever I got off work early enough no matter how tired I was. On weekends I did have a lot of fun dancing with Red Silk Dancers, a Chinese dance company. It was a nice outlet for me to continue to rehearse and perform. How did you “escape the cubicle” to follow your dream? In short, I found a job that would allow me to move to New York after graduation and auditioned for professional dance companies there until an opportunity materialized. I knew I wanted to be in New York after graduation, because I spent the summer before my senior year at the Martha Graham School of Contemporary Dance in the city and absolutely loved it. There are so many different professional dance companies in the city—to this day, it boggles my mind! At the beginning of my senior year, I decided that I wanted to spend a year or two at a job related to my major before transitioning to dance. I wanted to put the skills I learned in school to use and try out the cubicle lifestyle at least for a short while, and at the same time I could also support myself financially until I found an opportunity to dance professionally. I also knew that it would be difficult for me to audition for companies in New York while finishing school on the other coast. After an intense job search period during the first quarter of my senior year, I accepted an offer from NERA Economic Consulting to be a Research Associate in the Securities and Finance practice in New York. I moved to the city three weeks after graduation, and I worked at NERA for about a year before transitioning to my current job with H.T. Chen & Dancers. During that time, I watched a lot of dance performances to decide which companies I was interested in and auditioned for as many as I had time for. I spent most of my vacation days from work auditioning, because a lot of auditions took place during the week. The audition process can be brutal. Often times there are hundreds of dancers competing for just one opening. It is not uncommon to wait around for a long time, learn an eight count phrase with no warmup, do it maybe twice, and face a cut of half of the dancers on the spot. The cuts continue until just a few dancers are remaining (which could take more than a day), and they eventually call the person they want to hire. My success varied from audition to audition—sometimes I got cut immediately and other times I made it to the end. Rejection was painful. I went through periods of intense self doubt. It’s hard not to be in a room full of beautiful, well-trained dancers (most of them, unlike me, actually majored in Dance!) and not begin to second-guess yourself. For the first time in my life, I asked myself whether I should quit dancing. Sometimes companies allow certain dancers to audition privately, which means that you can be seen by the artistic director one-on-one. This was how I got a job from H.T. Chen & Dancers. I had heard about the company in high school—I remember reading an article about them in Dance Magazine and being impressed to see Chinese-American issues depicted in a mainstream dance publication. I was intrigued by how the choreographer H.T. 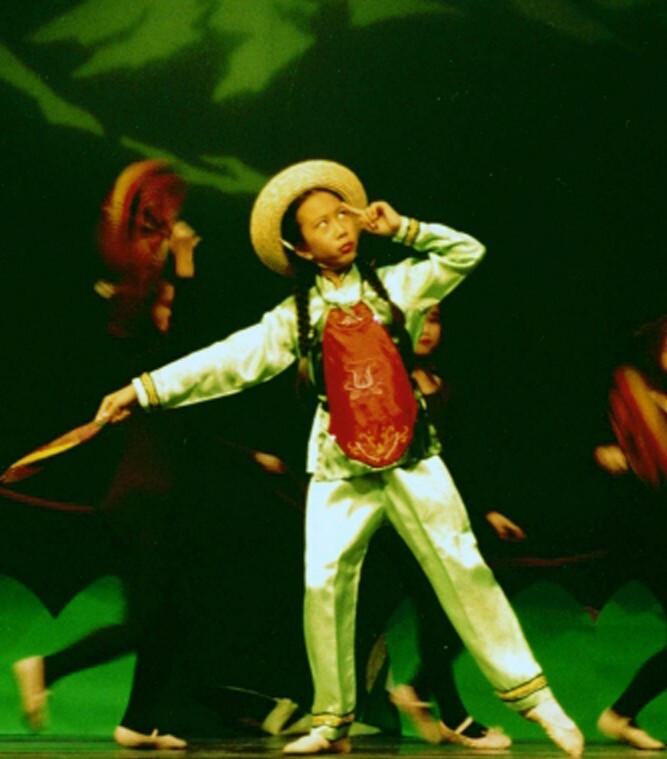 Chen incorporated traditional Chinese dance movement with modern dance to tell hidden stories of Chinese-Americans. I couldn’t wait to see the company perform live when I moved to New York. My connection to H.T. Chen came about through Margaret Yuen of Red Silk Dancers, the Chinese dance company I was dancing with on weekends. She called him to recommend me as a dancer, and he offered me a private audition slot. I showed him a couple of excerpts from contemporary Chinese dance pieces I performed in ACDC’s Nu: Past and Present. After taking company classes for a while after that, I was invited to join the company as a paid dancer for the 2008-2009 season. What do you do with H.T. Chen & Dancers? H.T. Chen & Dancers is a modern dance company based in Manhattan Chinatown. We do a lot of educational lecture-demonstrations for school children utilizing modern dance infused with Asian aesthetics to tell the hidden stories of Chinese-Americans. The dances in our lec-dem are about aspects of Chinese-American history that I knew little about, such as building the transcontinental railroad, working as strikebreakers at a shoe factory in western Massachusetts, Angel Island Immigration Station, and the Yellow Power Movement. At first I wasn’t sure how I would get through daily performances of the same program, but I quickly found that it is easy to feed off the positive feedback from the young children. They really get into it! Some of them have probably never seen dance in a theater before, and most of them certainly didn’t know much about the content of the show. We also recently premiered a new piece with live music by the Orchestra of St. Luke's (Lucy Liu was in the audience! ), and we will be touring in Birmingham, AL in May. How has your experience with ACDC benefited you as a dancer? Most professional dancers I know in New York have extensive ballet and modern dance training, but few have Chinese dance training. This is something that I use to my advantage to get work as a dancer. With H.T. Chen & Dancers I perform a Chinese ribbon dance solo as a part of the educational lec-dem—my Chinese dance background was one of the reasons I was invited to join the company. I have also performed as a guest artist with Dance China NY, a traditional Chinese dance company based in Manhattan Chinatown. This opportunity came about through Hangdong Xu (Associate Artistic Director of Dance China NY), whom I danced with in the piece “Forbidden Love” for ACDC’s Nu: Past and Present in October 2007. He will also be guesting in ACDC’s West to East, East to West—we will be doing a duet together at the end of the show. I also do solo Chinese dance performances and teach Chinese dance on occasion to supplement my income. ACDC also offered me a lot more performing opportunities than the ballet schools I attended growing up. A lot of ballet students only get to perform a couple of times a year—Nutcracker and the annual school recital. With ACDC I got to do all kinds of gigs at different venues around metro Atlanta, especially around Chinese New Year time. It was an invaluable experience for me, because there is so much to be learned from performing that can’t be learned just from taking classes or rehearsing. Talk about your role in ACDC’s West to East, East to West. In addition to the duet with Hangdong Xu of Dance China NY, I will also be performing a solo piece in the “West to East” section called “Cradle.” The piece depicts a young pregnant woman full of hope at the dawn of a new China. It won an Outstanding Choreography Award at China’s National Dance Competition in 2007. Chinese dance these days has been strongly influenced by western dance forms—first ballet, then modern dance, and now even hip hop. Though the piece is categorized as Chinese folk dance and the content is definitively Chinese, the movement is very modern. There is a lot of floor work in the piece, which is quite common in modern dance. Floor work was not really part of my ballet or Chinese dance training growing up, but I’m slowly getting better at it as a modern dancer with H.T. Chen & Dancers. Once we performed a piece called “Pockets” where we rolled around with our hands in our pockets the entire time. It was really hard, because we didn’t have our hands to help us. We got so many bruises! In order to be a Chinese dancer these days, I think it’s increasingly important to train in several dance styles. You have performed in every major ACDC performance since the company was founded in 1991. What is your favorite role? For the most part, the role that I’m currently working on is my favorite role at the moment. If I had to choose a role that I am most proud of, I would probably say the daughter in mourning in Back to the Roots in April 2006. The production was about the mother-daughter relationship between an immigrant Chinese mother and her Chinese-American daughter. I performed the role of the daughter as an adult when she mourns the death of her mother, belatedly cherishing the lessons that her mother taught her about China. The piece has personal significance for me, because I am very grateful for what my mother has taught me about Chinese history and culture over the years through Chinese dance. My mother and I worked on the choreography of my solo together, and the creative process was a lot of fun. Some audience members told me that my dancing brought them to tears, and that means a lot to me. I think the beauty of art is that it has the power to move people. Learn as much as you can, and believe in yourself! Don’t be afraid to try the unfamiliar. I find that my dancing grows the most when I am doing something completely outside of my comfort zone. It may seem illogical that doing Martha Graham contractions on the floor could improve my ballet and Chinese dancing, but it really did. Don’t compare yourself to others, especially during auditions. Everyone has their strengths and weaknesses, and the only thing you can ask of yourself is to be the best that you can be.